I’ve scraped enough time to build and paint my first German Infantry figure. I guess I owe quite a few thanks to the folks on the Warlord forums for the advice on colours, collars, backpacks etc. 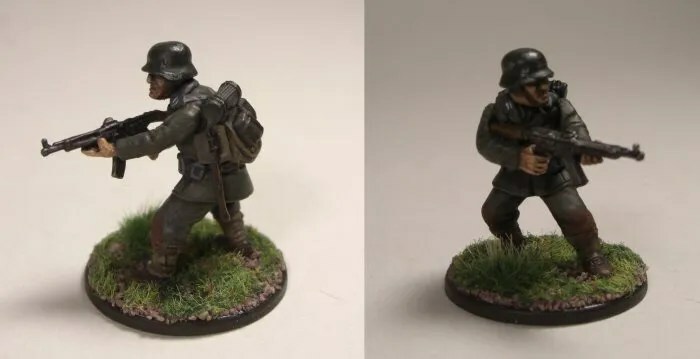 I swear I’ve spent more time researching German Infantry of 1944-5 than I did painting it. The photo’s a bit smaller than usual as I uploaded it at a size that would fit the above forums.